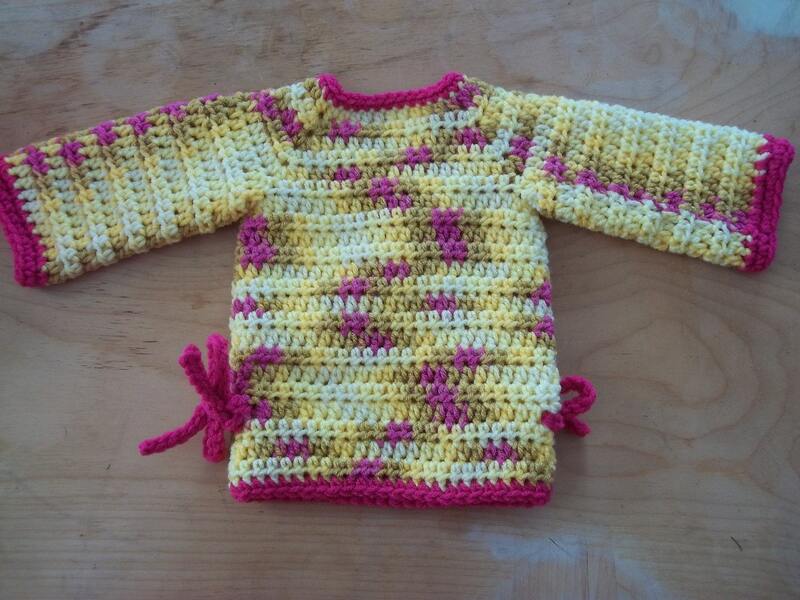 This easy adorable pattern is great for both boys and girls, and it comes in a wide range of sizes. 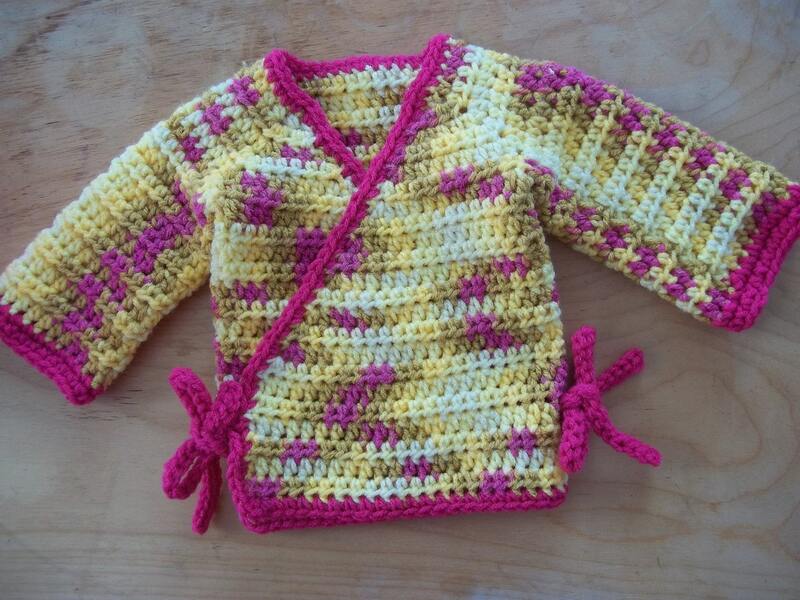 This listing is for the pattern of a baby to toddler sized Kimono Wrap Sweater. It is not for the finished item. 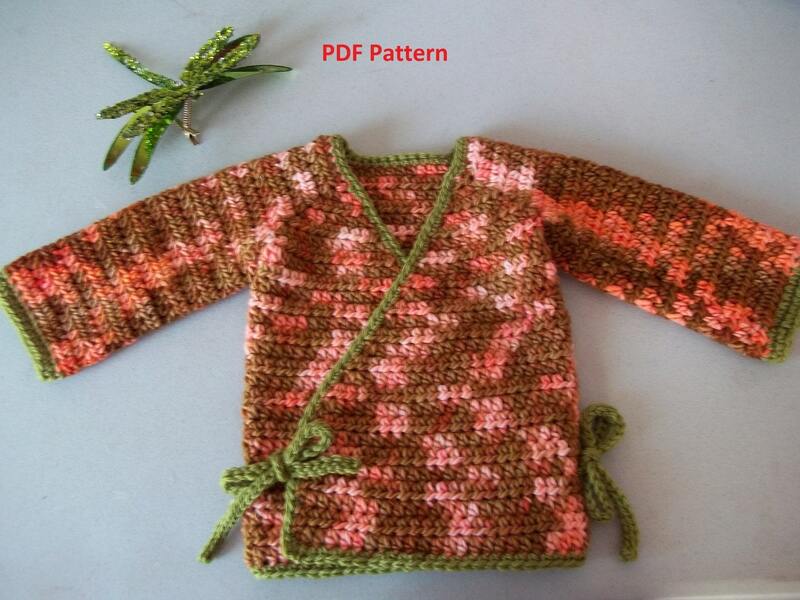 Contact me if you would like a custom Kimono Wrap Baby Sweater. There are hundreds of yarn, color, and style options if you let your imagination run free. The pattern is full of photos and features a size chart at the beginning with sleeve lengths, sleeve circumferences, shoulder widths, and total length from neck to bottom. The Kimono Wrap can be made sleeveless, short sleeved, 3/4 sleeved or full sleeved. The written directions only give specific instruction for the full sleeves, but it is easily customizable. 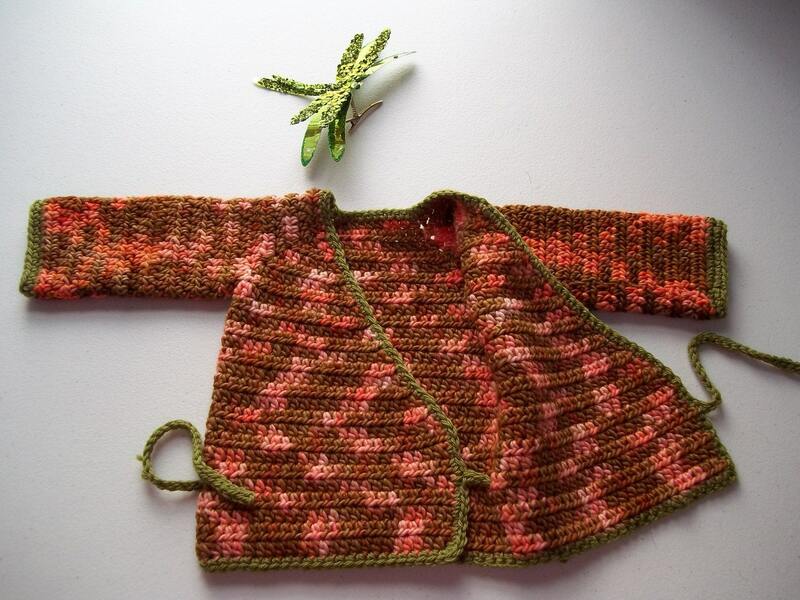 It can also be made as a shrug for baby instead of a full sweater if you reduce the length from neck to bottom. Add this item to your cart, click submit payment, and upon payment completion, the pattern will be available for immediate download for you. If you need help finding it, go to My Purchases, and find this purchase. The download link will be directly to the right of the invoice. You may sell any items you make from my pattern so long as credit is given to the designer. Please include a link to this pattern in your listings. You are responsible for any items you sell. Please do not re-copy, re-sell, re-distribute, or re-write this pattern in any form. Share your finished projects in a review of the pattern, on my Facebook business page and link to the pattern on Ravelry! I love to see what you make! If you need any assistance as you are working through the pattern, please feel free to e-mail me at flowersandstripes [!at] hotmail.com. You can also send me a message here on Etsy or directly through my Facebook page at www.facebook.com/kyliescrochetcorner.